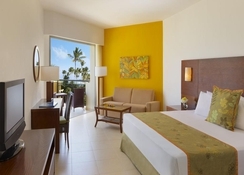 The Now Larimar Punta Cana Hotel is a resort located on Bavaro Beach in Punta Cana. The complex has five swimming pools and two whirlpools, surrounded by sun loungers, well-kept gardens, terraces and access to a private beach area. In the bars there are entertainment spaces with billiards and television, and in the four restaurants of the complex you can taste different cooking styles, some on your terrace overlooking the sea. There are many sports facilities such as a tennis court, bowling or climbing wall, a children's play area and a casino. 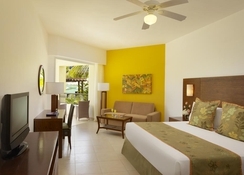 The rooms offer a luxurious design in which the warm colours predominate and are spacious and bright. Some of them have a balcony or furnished terrace, and can have a living room. 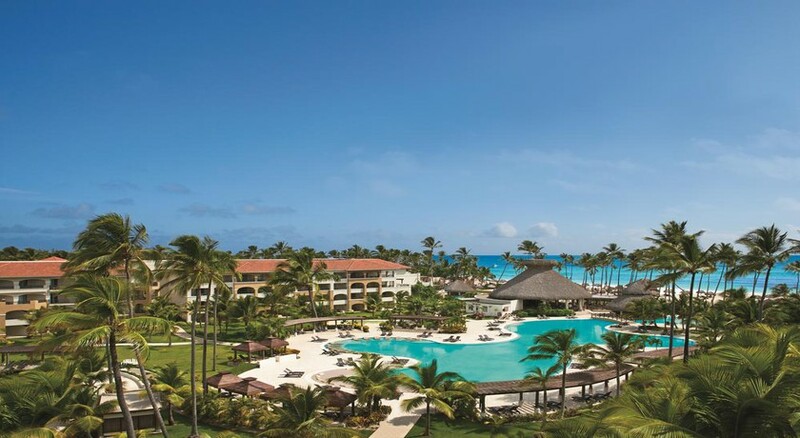 In Punta Cana, on the beautiful Bávaro beach, is Now Larimar Punta Cana, and very close to its facilities there is a golf course. In its private beach area, you can practice water sports such as diving, surfing or boat trips. In the vicinity of the resort are several shops and restaurants. The Manatí Theme Park is 6km from here. Some places that can be visited in the area are the Dolphin Island or Dolphin Explorer parks, the Indigenous Eyes Ecological Reserve and the Bávaro Lagoon. There are a total of 540 rooms with a sophisticated and luxurious decoration, spacious and bright, with a balcony or terrace equipped with outdoor furniture and offering views of the garden or the sea. 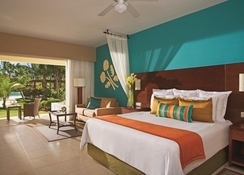 They are distributed in single, double and family, there are suites and connecting rooms. There is Wi-Fi connection, minibar with drinks and safe, and some have a living room with sofas. They also have individually controlled air conditioning, coffee maker, kettle, desk and ironing equipment. 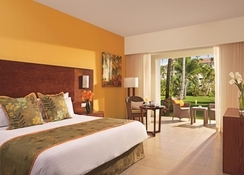 The Now Larimar Punta Cana complex includes different gastronomic spaces, where you can taste Asian, Mexican or French cuisine, à la carte or buffet style. There are a total of five restaurants, a café, a beachside grill and a buffet on the hotel premises. 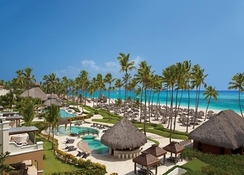 Now Larimar Punta Cana has several outdoor swimming pools, some with hydro massage, where you can enjoy a swim and sunbathe, as well as a private beach area where you can celebrate weddings, which can also be held in the meeting rooms. Tennis, basketball and paddle tennis courts are some of the sports facilities that this resort has which is completed with a theatre, a casino and a children's playroom. Stayed August/September for 2 weeks. Booked a tropical view room when told nothing else available. Asked to be moved to another room as the tropical view was actually a view of the service lane. Paid to upgrade to preferred club, was it worth it it's 50/50. Two private pools which had a supposed quite area in one. Food great lots of choice, staff friendly and helpful. Everywhere clean and tidy. The entertainment team better than normal for an all inclusive hotel. Would I go back yes if at the right price.